With boys’ toys like the Apple Watch flying off the shelves in recent weeks, it seems that more and more devices are being manufactured nowadays to monitor our health and fitness. It’s one thing to count the calories while we jog a few miles however; it’s another to keep an eye on our sleep. As our day-to-day lives get more stressful, we could do with using the same gadgets that keep us connected 24/7 as sleeping aids. Indeed, a good night’s sleep starts in the bed itself – and while providers like Bedstar can guarantee us a comfortable resting place, the digital generation needs a little something more. 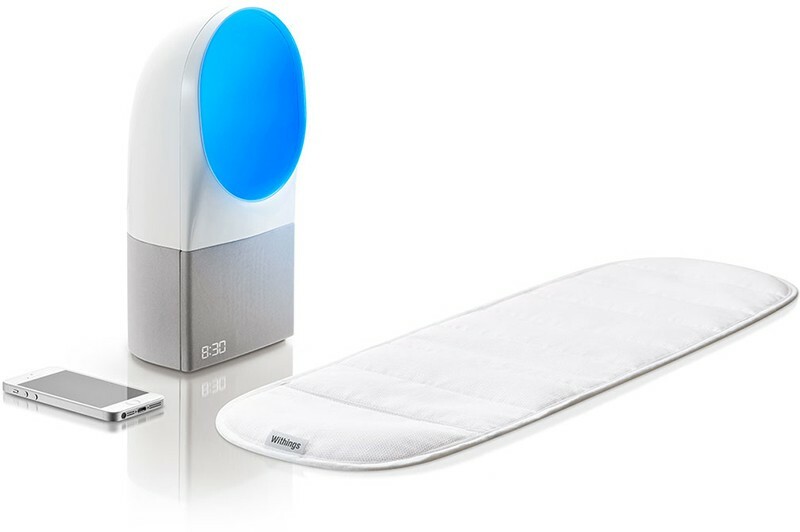 If you’re more into a funky gadget than a night time comforter, check out these devices to help you get that all-important shut eye. 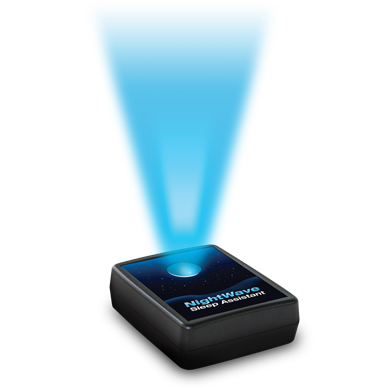 This one is perfect for all yoga fans – users are encouraged to breathe in when the device’s blue light shines, and out when it goes dark. The light shines on and off intermittently for seven minutes, allowing users to breathe in time with it, relaxing their bodies and drifting off naturally when the time is up. We can all be kept awake at night by the quietest of sounds – hence, the Sleep Infuser fights sound with sound by using sound conditioners to phase out the other noises. The device plays gentle white noise, akin to rushing water or light winds, which help to ease the brain into a gentle, natural sleep. 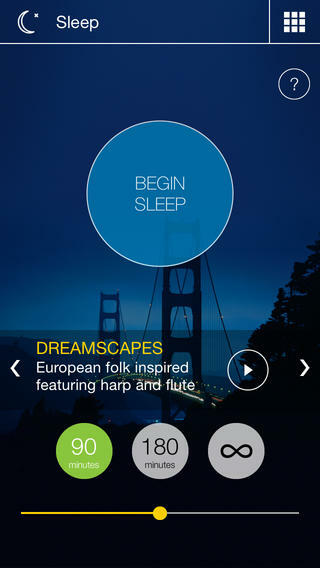 If you can’t figure out why you can’t get to sleep at night, you could do with a little help from the Sleep Genius app. This trustworthy app has been developed by scientists for astronauts, and uses a mixture of neurosensory algorithms and pink noise (a lighter version of white noise) to help you feel ‘rocked’ to sleep – like a baby! 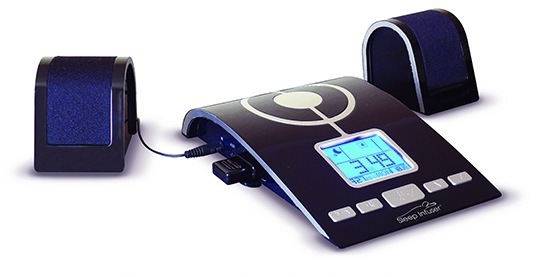 Scientists have proven that orange light naturally stimulates our production of the sleep hormone melatonin, which is where the Calm Aura device comes in. The calming light aims to mimic your body’s natural circadian rhythms; all you have to do is slip it underneath your mattress to allow it to monitor your body’s processes. Perfect for those who travel, this pint-sized machine omits a range of sounds inspired by Mother Nature, such as oceans, meadows and white noise. 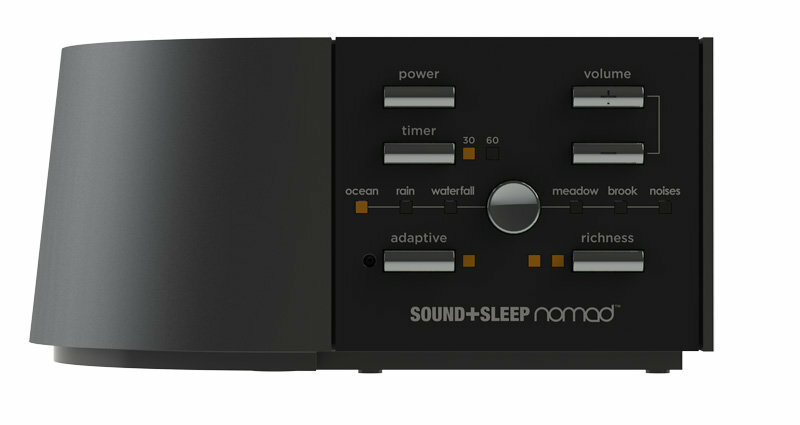 Even better, users can put it into ‘adaptive mode’ which helps the device to mask any background noise in order to immerse the listener into a deep, natural slumber. Are you using any gadgets to help you get some sleep or sleep better? Tell us in the comments below.